Chelsea finished second in the group behind Italy’s AS Roma, while Atletico, finalists in 2014 and 2016, will drop into the Europa League after finishing third. 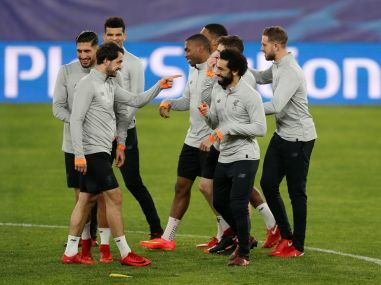 Holders Real Madrid, Barcelona and Manchester United headline a selection of teams who can secure a place in the last-16 of the Champions League this week. Borussia Dortmund suffered a significant Champions League setback on Wednesday when Peter Bosz's team were held to a 1-1 draw at home by APOEL of Cyprus. Brilliant Tottenham Hotspur took Real Madrid apart in a 3-1 win over the reigning champions as they clinched their place in the Champions League last 16 along with Manchester City. Cristiano Ronaldo scored a penalty but Real Madrid were held 1-1 by Tottenham Hotspur in the Champions League, while Manchester City overcame Napoli 2-1. Cristiano Ronaldo scored twice on his 400th Real Madrid appearance as they defeated Borussia Dortmund 3-1, while Tottenham Hotspur won 3-0 at APOEL Nicosia. Borussia Dortmund will aim to maintain their unbeaten record at home to Real Madrid in the Champions League and spoil Cristiano Ronaldo's 150th European appearance. Sergio Aguero scored his 50th goal in European club competitions as Manchester City romped to a record 4-0 victory over Feyenoord in their Champions League Group F clash. Cristiano Ronaldo grabbed a brace on his return from suspension, as Tottenham Hotspur defeated Dortmund 3-1 and Liverpool were held on their Champions League comeback. 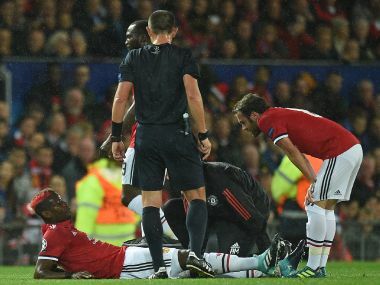 Paul Pogba could be out for a "few weeks" after suffering a suspected hamstring injury in Manchester United's successful return to the Champions League, manager Jose Mourinho said.